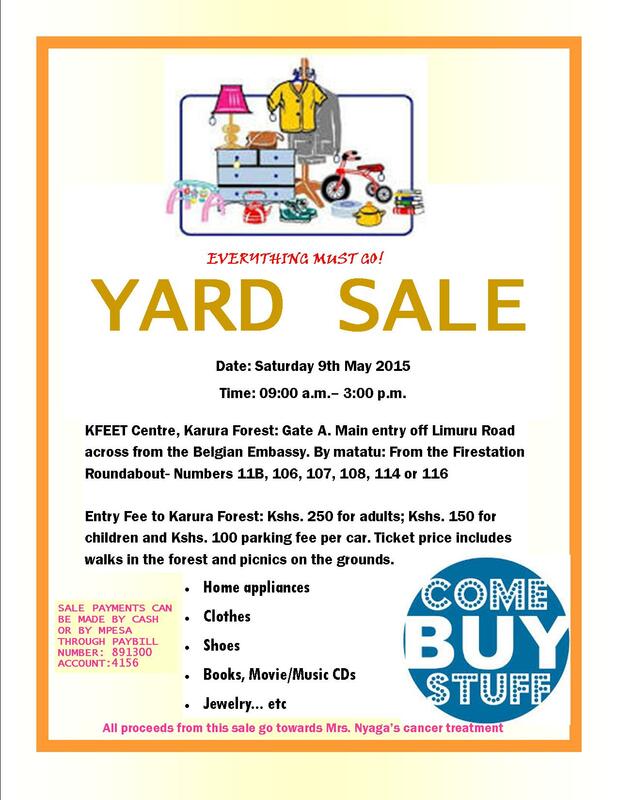 Welcome to the Yard Sale that will be held this Saturday (9th May 2015) from 9am – 3pm at KEFET Centre in Karura Forest. Home appliances, clothes, shoes, books, etc will be on sale. All proceeds from the sale will go towards Mrs. Nyaga’s cancer treatment. Some snacks will also be available for sale. Please circulate this invite to all your networks, this will be highly appreciated. Any support towards this medical fundraising can also be sent via M-Pesa – Paybill number 891300, Account 4156.